As it turned out, being forced into bankruptcy and having our home of 18 years sold at auction, had positioned me at the age of 64 to help people on a level I would have never imagined possible. 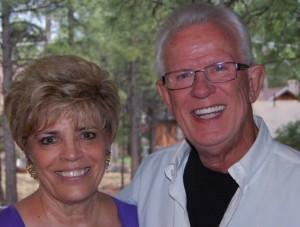 My wife Sylvia and I have been married 51 years. We have two wonderful sons, two precious daughters-in-law, seven fantastic grandchildren. We founded and directed New Life Dynamics Christian Counseling Center for 23 years. I was also the host of the live radio program, “Life Mastery Radio” with Dr. Gary for 20 years. We retired from that busy life when I was 59 years old in May of 2003 and six weeks later, we uncovered the fact that we had lost 65% of our retirement portfolio in the stock crash. NO GOLDEN YEARS OF RETIREMENT FOR US! I went into a pity party mode. Have you ever had a pity party? I was 59 at the time and found out real quick, there was no big demand for retired Marriage and Family Counselors. What was I to do? The pity party continued for 5 years, I had done everything right and everything went wrong! I was in the valley of inertia for five years and by February of 2009, I was facing bankruptcy and foreclosure. I was broke, I didn’t know what to do. I was leaning over the precipice of poverty and I didn’t like what I saw. I DON’T DO POVERTY AND I DON’T DO BROKE! As many are today, I was hanging on by my fingertips. Then in September of 2009, at the age of 64 I was introduced to an amazing Community of Real Estate Investors. I had met several of the key leaders, attended several functions and as I experienced the depth of their integrity and character, I knew I had found the path out of my “forest” of self-pity and insanity. I began a new journey and became an active member of this community of investors. I had no money, no credit and was still facing bankruptcy and foreclosure. I decided to put my blinders on, not look to the right or to the left and get focused. In ten days, I raised the money for my re-education with the Renatus Real Estate Investment Education services and have never looked back. In my first full 14 months as a real estate investor, I generated just under $200,000 for Sylvia and I and our investor partners. Renatus is a Latin term for “rebirth”. We have certainly been rebirthed and restored financially. I’m a well-educated man. My degrees consist of a graduate of Theology, a B.A.Degree, an M.A. in Pastoral Counseling and a Doctorate of Ministry. I tell people now, “I have five slightly used degrees for sale, make me an offer”. I’m grateful for the education and degrees I have accomplished and the thousands of people I have been able to help over the years, but now it was time for me to move forward and build the “Capstone of My Professional Career”. We are grateful to the Lord for blessing us with a very large income from my real estate investing and my new marketing business. I am also back on the radio with the “Dr. G and Kevin Live” show. It is aired on KPXQ radio,1360 AM, Monday – Friday at 5:30am & 4:00 pm. My son Kevin and I are a father and son team dedicated to helping those who aspire to live a life of financial freedom to actually experience it. I’m back in the business of helping people learn how to gain their freedom mentally, emotionally, spiritually and financially. Kevin and Laurie have been married for fifteen years, and are committed to enriching the quality of life for those who are seeking a new financial future. Kevin has served as a counselor and conference facilitator for a Christian family counseling ministry for nine years and for another six years he served the self-employed individuals and their families by meeting their insurance needs. 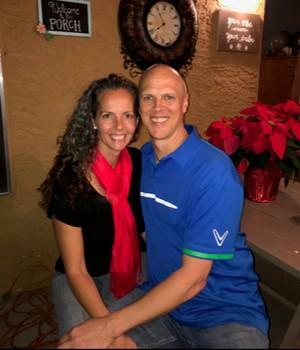 Kevin and Laurie are now using their experience, influence and mentorship to show others what is possible in creating a new financial future they control through business ownership and real estate investing. They understand that true success is based on the power of personal relationships while bringing value to others and helping them achieve success. The success they embrace is realized through the financial empowerment of real estate investing. They are parents of one adult son and two younger children. They home school and enjoy living in sunny Phoenix, Az. As active leaders in their home church they also serve as board members for Christian Family Home Ministries, a non-profit organization that serves to support and enrich families who choose to home school. Being the active family they are, they enjoy hiking, sports, traveling and serving their community. Kevin along with his father, Dr. Gary Lawrence are a father and son team dedicated to helping those who aspire to live a life of financial freedom to actually experience it. Together they host a daily radio program called the “Dr. G and Kevin Lawrence” show Monday – Friday at 5:00am & 4:00pm on KPXQ radio, 1360 am in the greater Phoenix market.